Ahhh I was super excited when this shirt came in the mail! As many of you know, I am a nutritionist (soon to be dietitian). I do not have any clothes saying that and when I found this company Cafe Press, I knew I had to get a nutritionist shirt! Let me tell you, I was so impressed with the variety that this company sells. 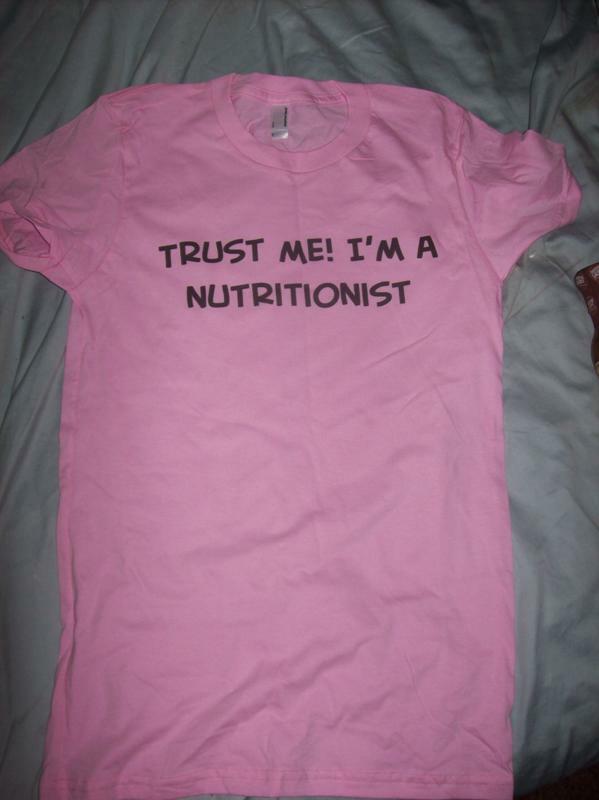 They had around 100 dietitian/nutritionist t-shirts (and of course many many other ones). It took me HOURS to decide which shirt that I wanted. Anyways, this shirt seems to be great quality and is American Apparel brand. It is very fitted which is exactly what I like in a shirt. This company is by far the best/my favorite t-shirt company that I have found so far.